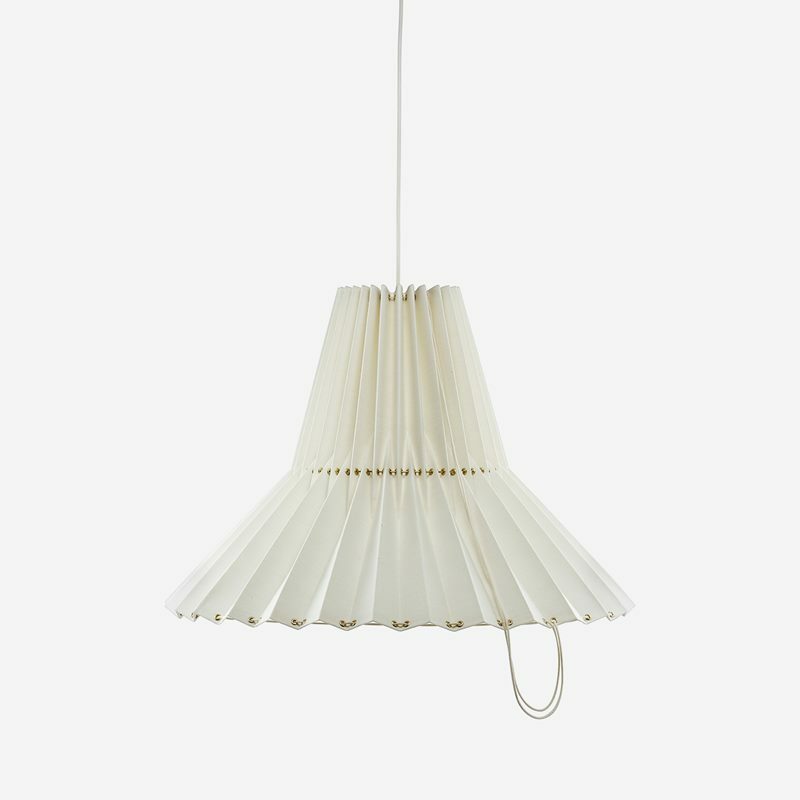 Discover ceiling lamps in different styles at Svenskt Tenn – elegant styles in timeless design, with a classic cut. 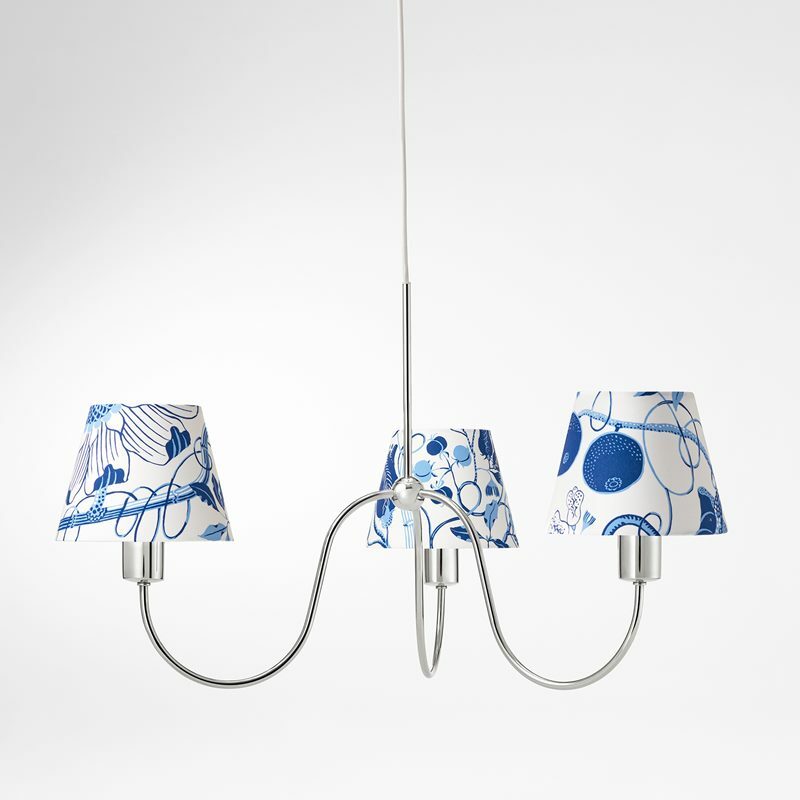 Svenskt Tenn has a number of ceiling lamps by Josef Frank without accompanying lampshades. 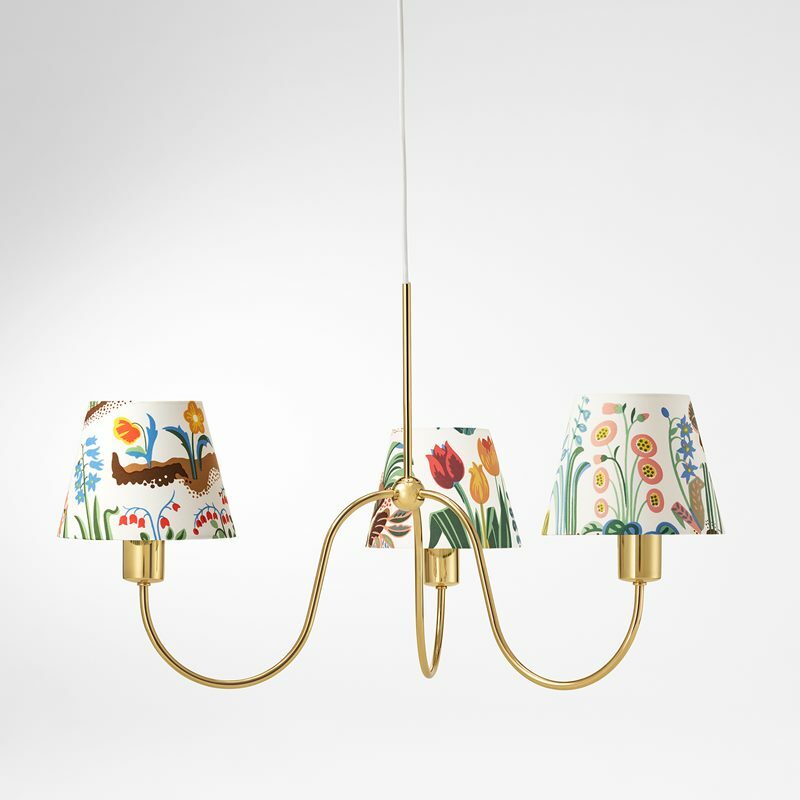 These were intended to highlight the light bulb as a beautiful and aesthetic touch in interiors, for example as in Lamp 2358, originally designed by Josef Frank in the early 1920s. 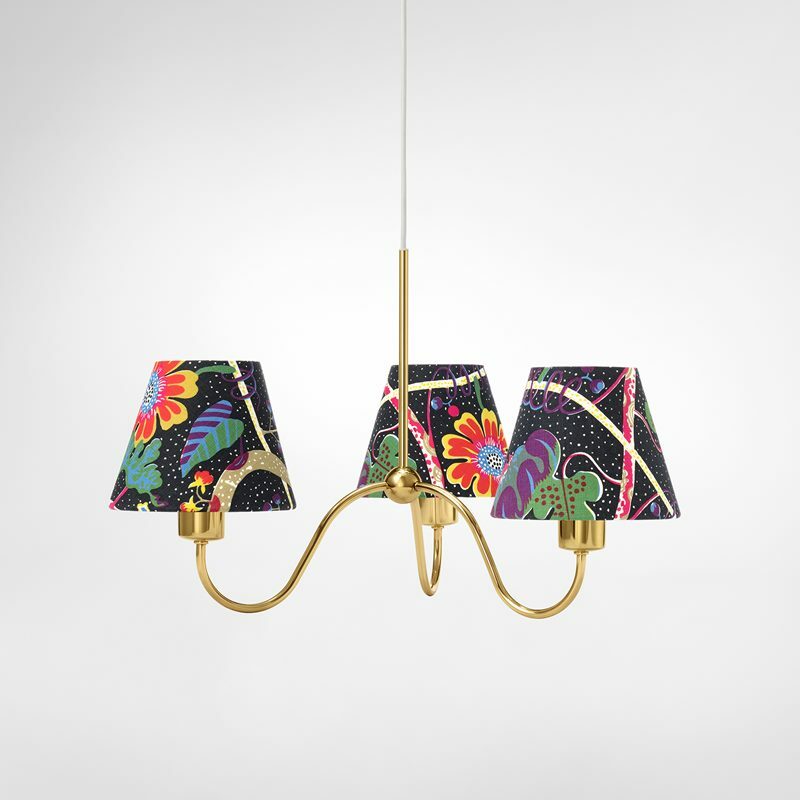 Josef Frank designed the ceiling lamps, with their openly visible light bulbs, as a nod to the Art Nouveau period and the birth of the electric lamp. 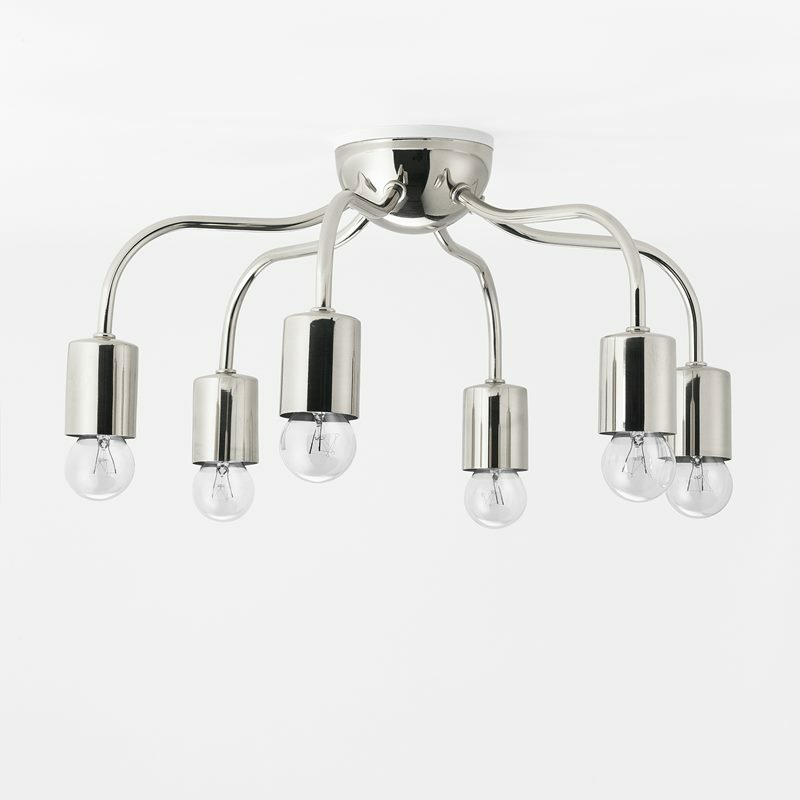 The unadorned design of these ceiling lamps ensures that they fit in very well in most homes and rooms. 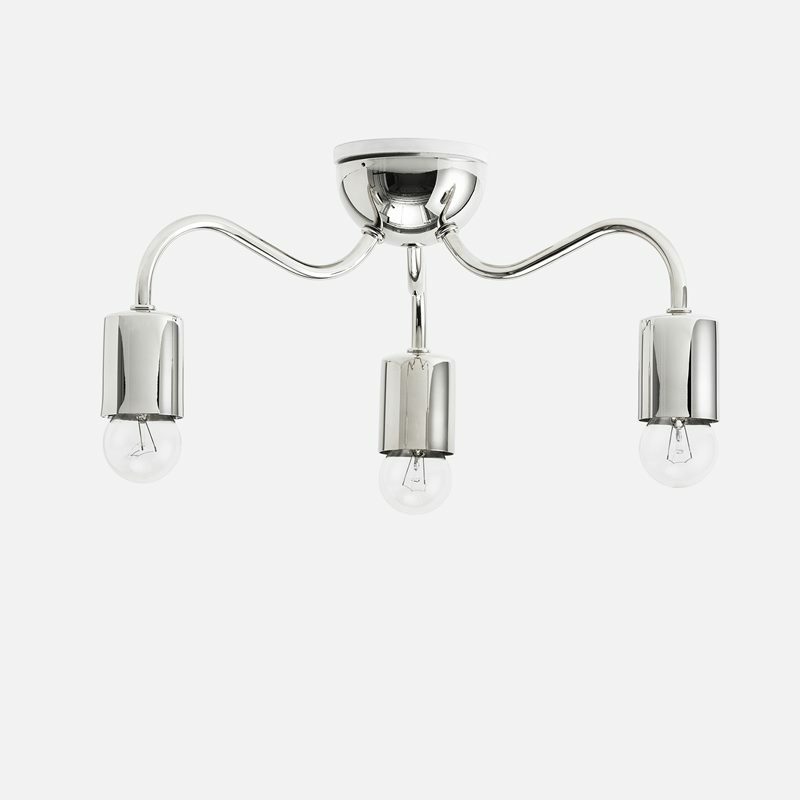 The range also includes ceiling lamps that are designed to spread a beautiful light in your room and also ceiling lamps where you can choose an accompanying shade. 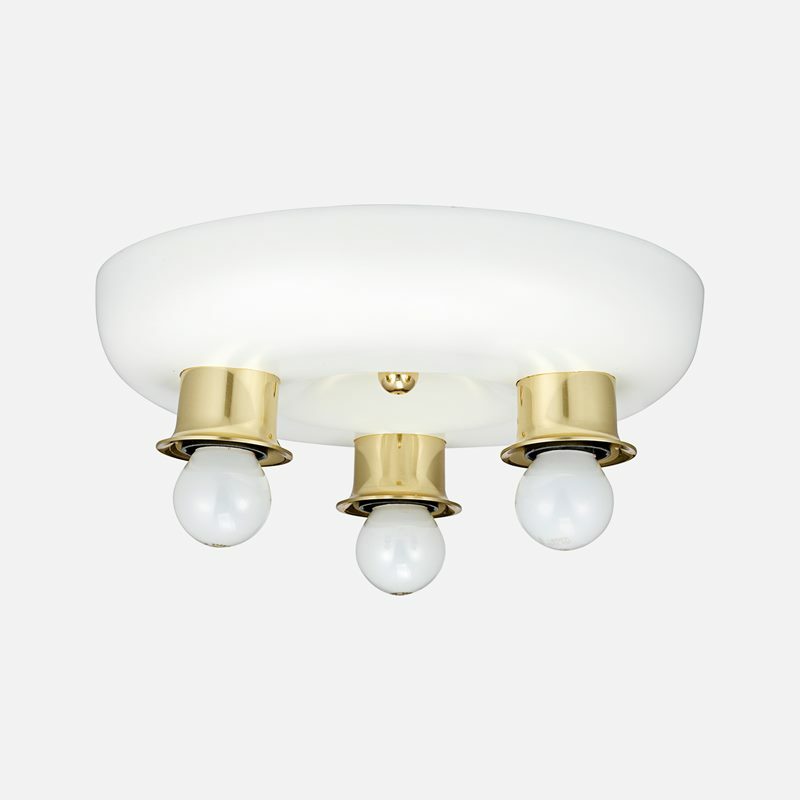 In addition to traditional ceiling lights, Svenskt Tenn also has ceiling lights in contemporary designs. 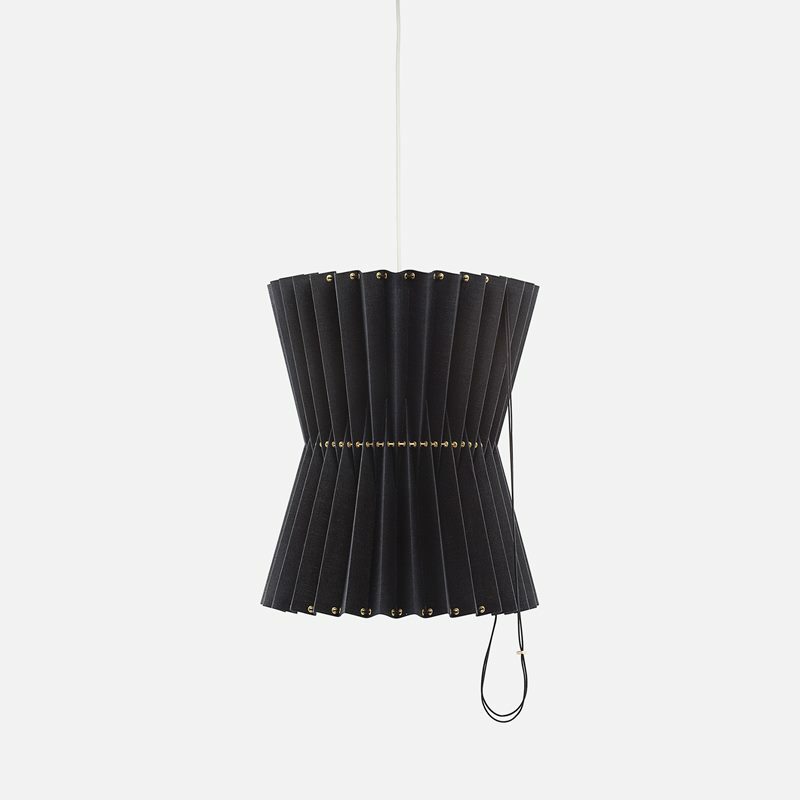 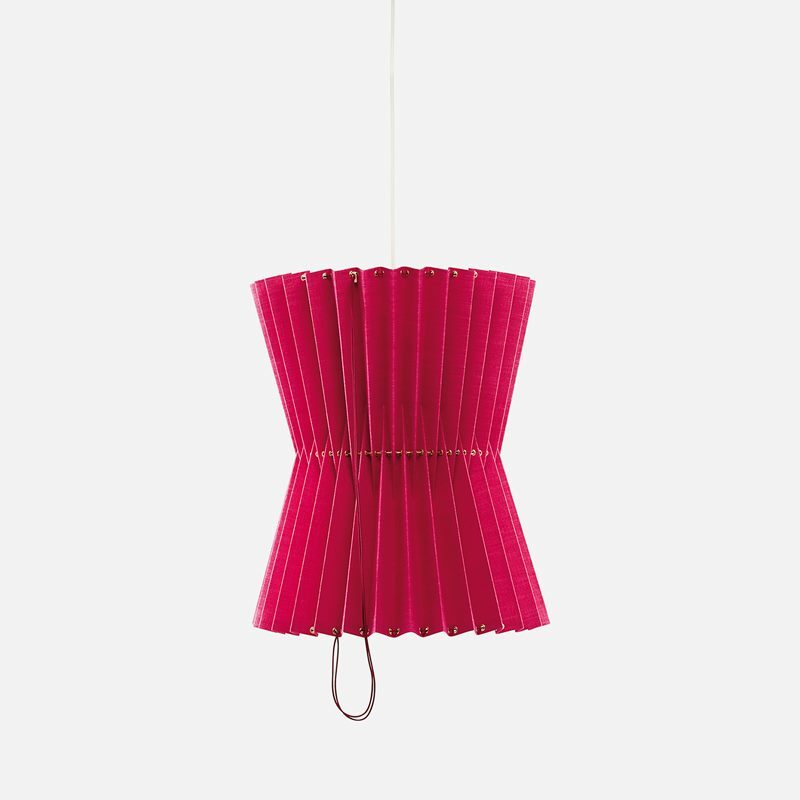 The celebrated Greta ceiling lamp, created by design group Whatswhat, has classic pleats with contemporary flexibility. 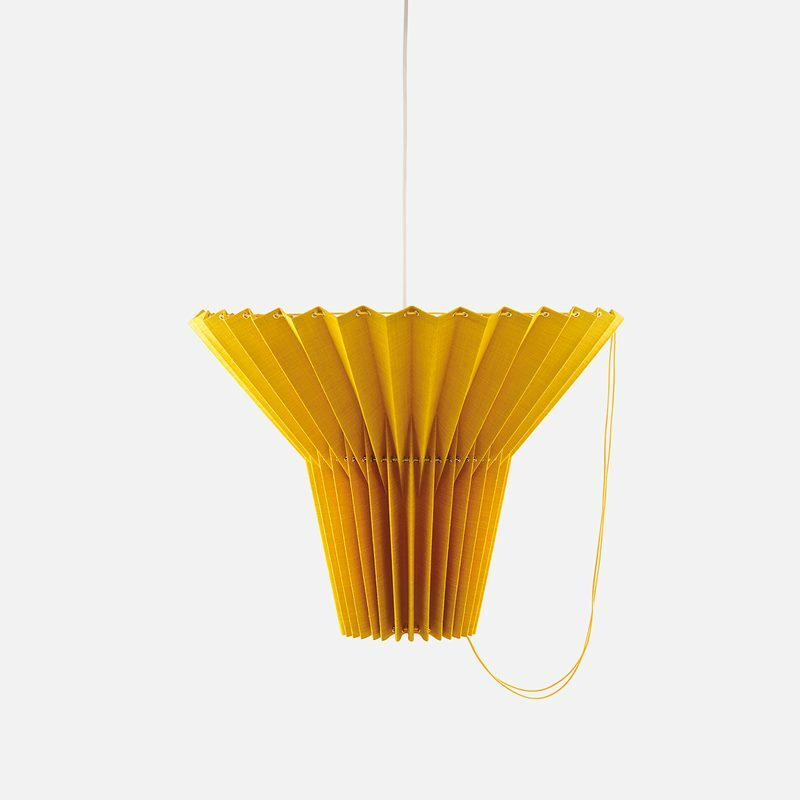 With the help of a simple drawstring you can decide whether the light should be directed upwards or downwards. 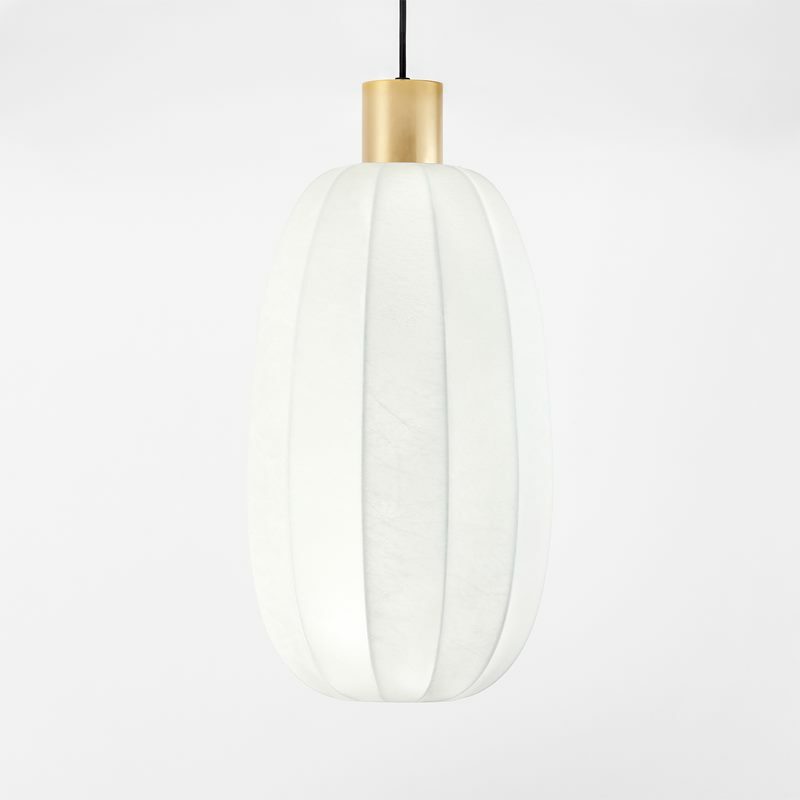 Almost all of Svenskt Tenn’s ceiling lamps are manufactured in brass or nickel-plated brass. 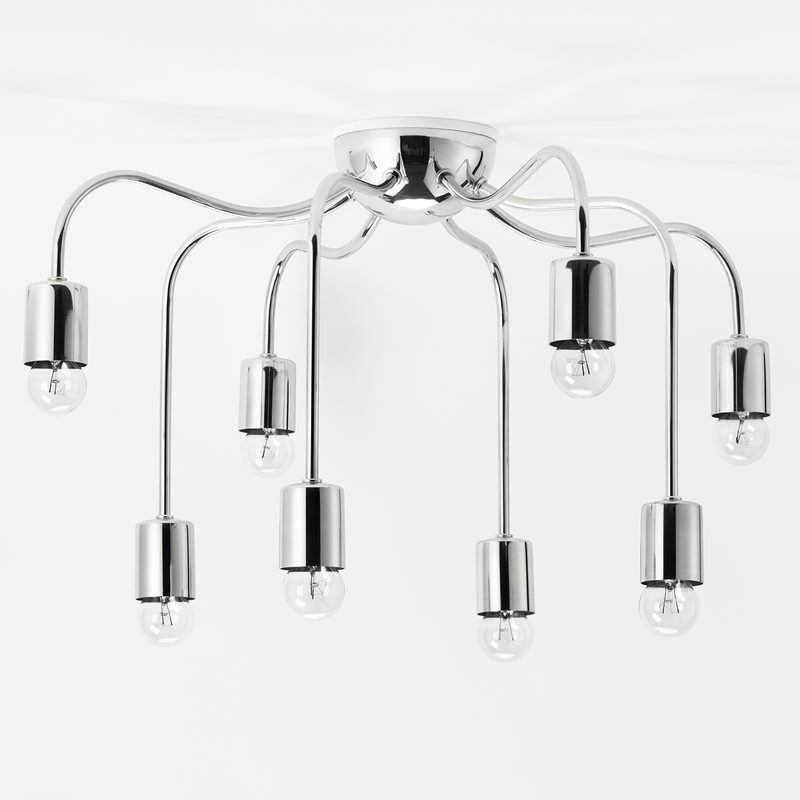 Pressure turning is often used in the manufacturing of our ceiling lamps. 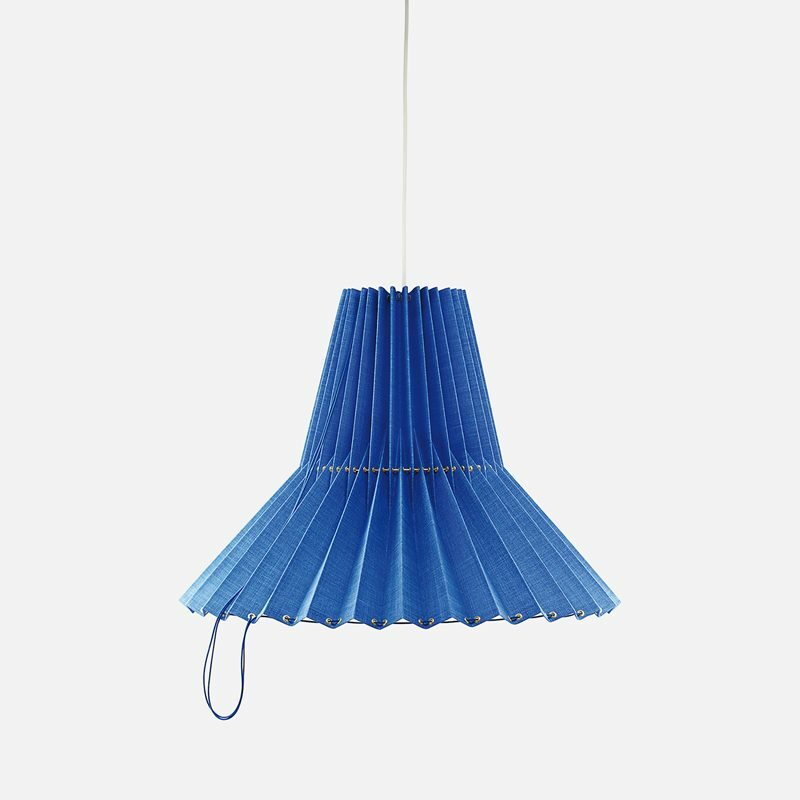 The metal is shaped by applying pressure with a metal tool against a form in wood or metal that rotates. Soldering is used in the process to join the ceiling lamp’s various parts together. 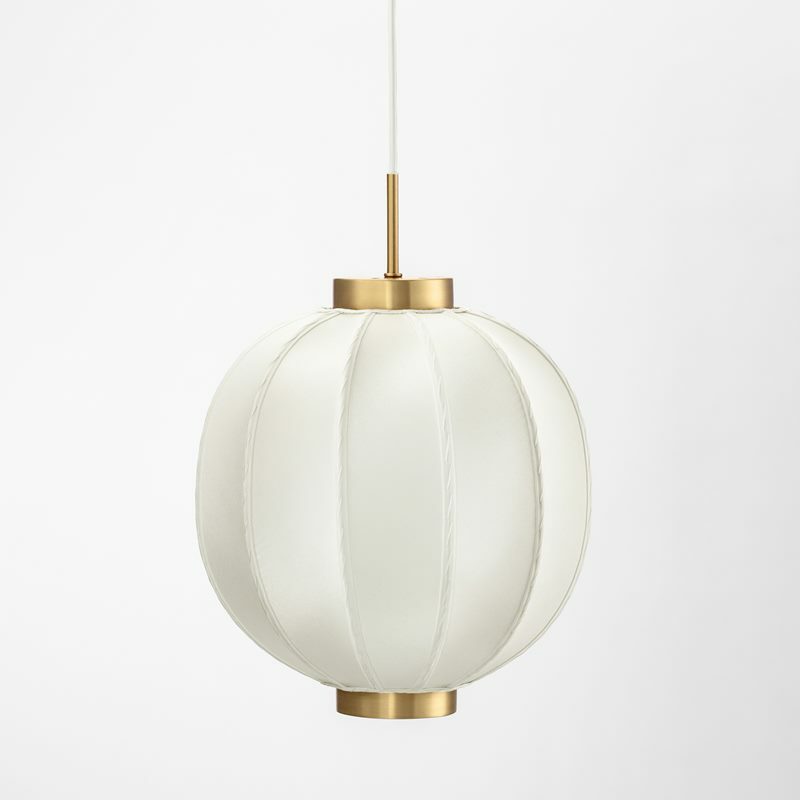 Soldering brass is called brazing and this is done over an open flame. 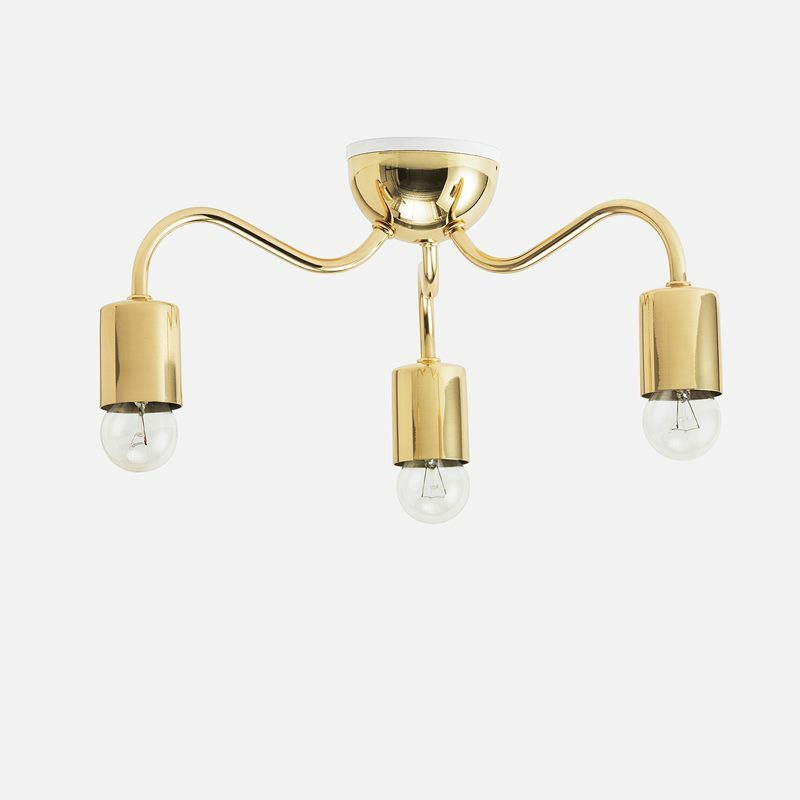 Brazing, which joins together the different parts, has a lower melting point than brass, which enables the solder to melt and attach the parts. All of Svenskt Tenn’s brass ceiling lamps are lacquered to retard the oxidation process. 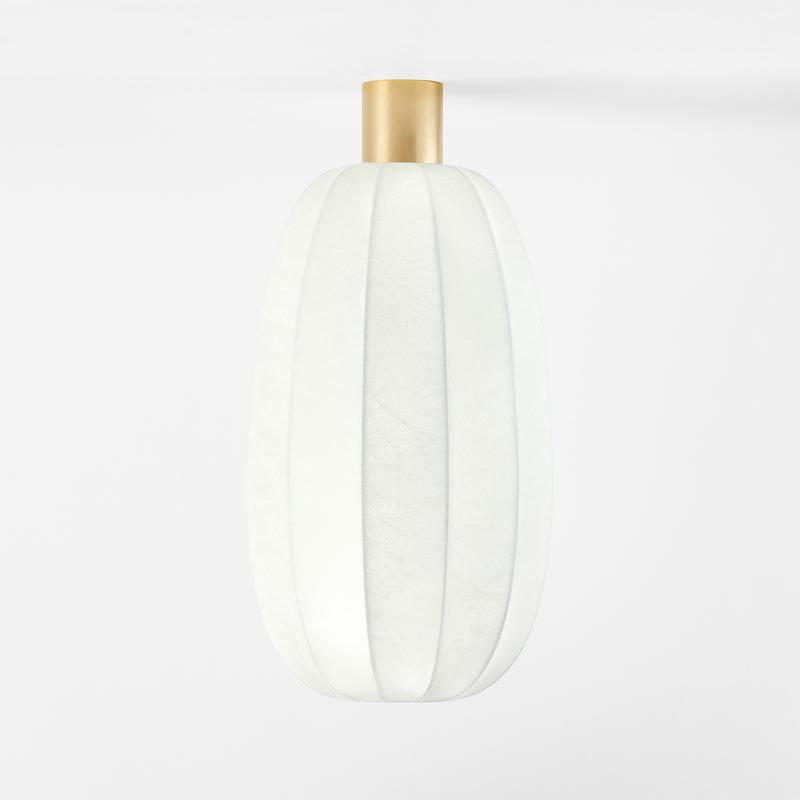 This involves placing a thin layer of clear lacquer on the metal, so it is less exposed. 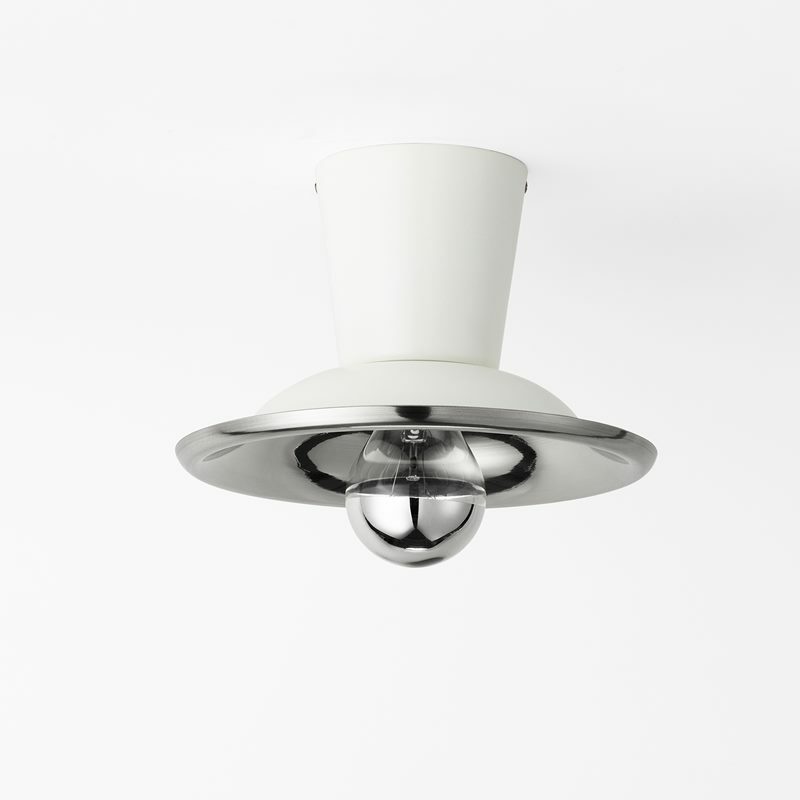 The ceiling lamps made of white metal are manufactured in nickel-plated brass. 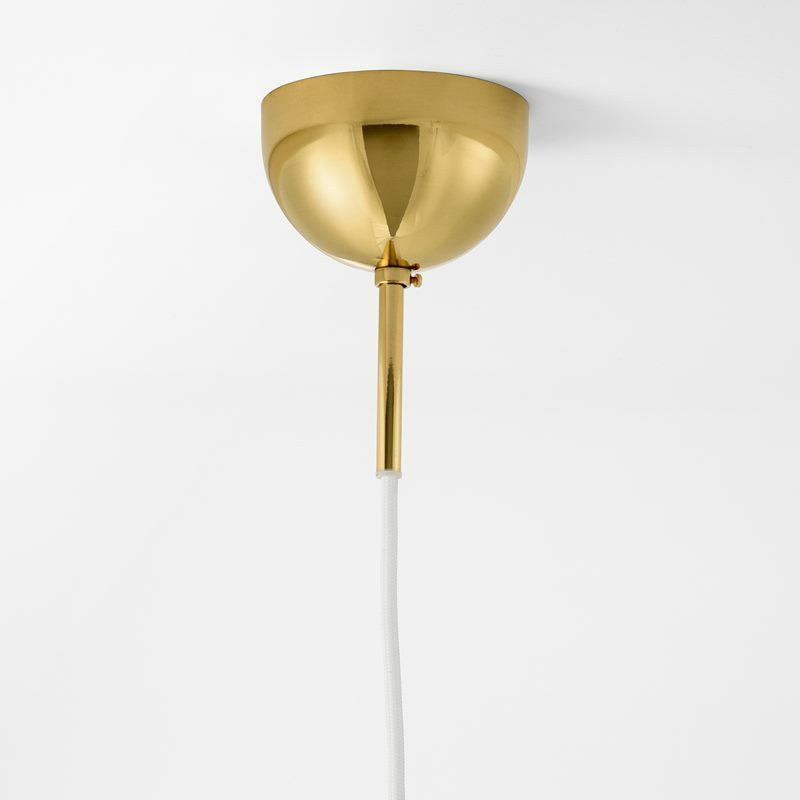 This is done through electroplating, which involves dipping the object into an electrolyte solution connected to a power supply that, when switched on, plates the brass with a thin layer of nickel.